On An Overgrown Path: Did he jump or was he paid to jump? Did he jump or was he paid to jump? The charm offensive by BBC Radio 3's new controller Alan Davey has started with the full support of the mighty BBC PR machine. But there are still important unanswered questions about the departure of his predecessor Roger Wright, who is seen above. Something was not right about Roger Wright's move from the BBC to Aldeburgh Music. The BBC press release gave no reasons for his departure; however by omission it gave the clear impression that the Radio 3 controller had found a better job and would be following the standard procedure of working his notice and departing. But much that I admire Aldeburgh Music it does not make sense: Roger Wright is an ambitious guy and his dual BBC role of controller Radio 3 and director Proms was far more powerful and prestigious than ceo Aldeburgh Music; in fact at the BBC he probably had the most important job in classical music. It was also difficult to understand the financials: Aldeburgh is one of the better funded classical institutions, but Roger Wright's total BBC remuneration of £227,450 is equivalent to around 20% of the total salaries of Aldeburgh Music's sixty staff. Then there was the problem of employment law. Following his departure, the dual roles held by Roger Wright of controller BBC Radio 3 and director BBC Proms have been split between two people. Was this fundamental change an opportunist move by BBC management following his departure? Or was the splitting of the roles part of a planned 'divide and conquer' corporate restructuring following the appointment of the entertainment-oriented Bob Shennan in the new overarching role of BBC director of music? If the latter was the case - which seems more probable - and Roger Wright had remained in post, he would have had a very strong case for a substantial constructive dismissal award on the grounds of diminished responsibility. So did Roger Wright jump? Or was he paid to jump? Those are important questions. Because BBC Radio 3 is one of the most powerful forces in global classical music; because the BBC has an impressive track record of playing fast and loose with money; because BBC director general Tony Hall has pledged to curb executive payoffs; because financial savings are high on the agenda of the new Radio 3 controller Alan Davey; and because stakeholders in the form of BBC license fee payers deserve to know. To try to find out what actually happened, I submitted a Freedom of Information (FOI) request to the BBC. My initial request was for details of exceptional termination payments made to Roger Wright. This request was speedily rejected as personal information about identifiable living individuals can be exempt from a FOI disclosure if it is deemed to be potentially unfair. Which may be technically correct but is also perverse, as details of Roger Wright's salary and itemised personal expenses are disclosed by the BBC in the interests of information transparency. How can it be 'fair' to disclose specific personal information about his salary and expenses, but 'unfair' to disclose personal information about his exit package? My FOI requests related solely to exceptional termination payments. If there were no such payments, this matter could have been resolved easily by the BBC saying this was the case. The fact that information on termination payments is being withheld - the word withheld is actually used in the BBC reply - because "this could lead to individuals being identified" I interpret as a tacit admission that there were material payments. In my view the BBC's determination to withhold this information is motivated more by their corporate agenda than the need to comply with section 40(2) of the Freedom of Information Act. But the truth remains shielded behind the BBC's ambiguous definition of freedom of information. Which means we can only speculate as to whether Roger Wright jumped on his own initiative, or whether he was paid handsomely to jump. Please provide the single total value of payments, if any, to BBC Radio 3 staff for redundancy, termination of employment and other ex gratia payments relating to termination of employment in the last twelve months. Please also provide the single total value of payments for the same period of any ex gratia/additional contributions by the BBC to pension arrangements of leaving BBC Radio 3 staff, and the total value of any exceptional payments to Radio 3 leaving staff to cover legal and PR costs. Note itemised - i.e. per employee - information is not required. An aggregate, and therefore anonymous, single total for each category is all that is being requested. We are withholding the information requested under section 40(2) (personal information) of the Act. As the request relates to a small number of staff, this could lead to individuals being identified. Under section 40(2) of the Act, personal information about identifiable living individuals is exempt if disclosure to a third party would breach one or more principles in the Data Protection Act 1998. The individuals concerned would not expect details of any termination payments to be disclosed to a third party. To do so would be unfair; therefore, disclosure would breach the First Data Protection Principle (fair and lawful processing). I love how this reply was written by a 'Jim Hacker'. I hadn't noticed that, Zwolftoner; thanks for pointing it out. What had me chuckling on and off for a good part of the morning was the observation that Wright "...would have had a very strong case for a substantial constructive dismissal award on the grounds of diminished responsibility". The ambiguity of the legal term 'diminished responsibility' had never struck me before, likely because I'd never before read a sentence that so perfectly brings it out. Seizing upon that ambiguity, the Beeb might put forward in defence that Wright did not have 'diminished responsibility' under the M'Naghten Rules. 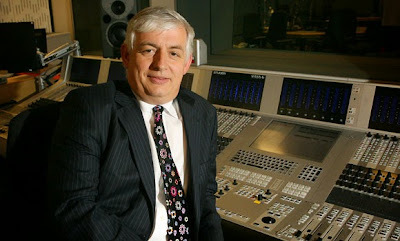 I should argue myself that prima facie he didn't suffer from diminished responsibility when he inflicted GBH on Radio 3. Philip, my knowledge of employment law is now, thankfully, rusty. With the benefit of hindsight I should have used the term "reduced responsibility" and not "diminished responsibility". But, as you point out, my Freudian slip is apposite I will let it stand. Incidentally, I expected you to seize on Mr Hacker's department of work 'BBC People' with alacrity. You should let it stand, Bob, for your knowledge of employment law is not so rusty. 'Diminished Responsibility' is used in the law of constructive dismissal, as also in criminal law. Hence the perfection of your sentence, certainly in the opinion of my funny bone. I missed the name James Hacker -- wunderbar! -- but "BBC People" did strike me. That the Beeb would allow such a thing is unthinkable, but if I saw that as the title of a programme on Radio 4, I really think I might at first blush suppose it a comedy much akin to People Like Us. The only problem, I suspect is that listening along with 'Roy Mallard' to the off-air ruminations of Petroc and Katie would leave a listener unsure whether the programme is mockumentary or documentary. I do so wish it could be done, though.